The Curve Barstool brings design and balance to any room, be it open kitchen, breakfast nook or great room bar. 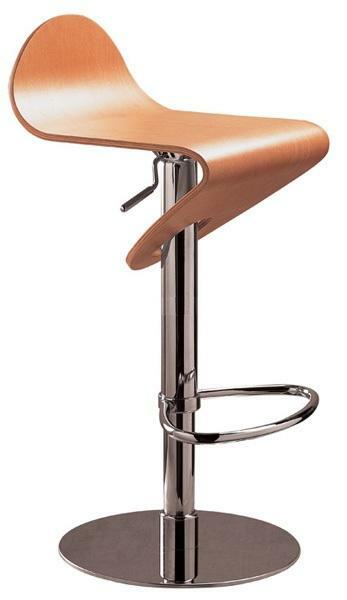 With an elegant continuous curved wood seat that gently tucks underneath and supported by an adjustable gas cylinder the Curve Barstool epitomizes both comfort and style. The clever stainless steel footrest completes the contemporary concept.